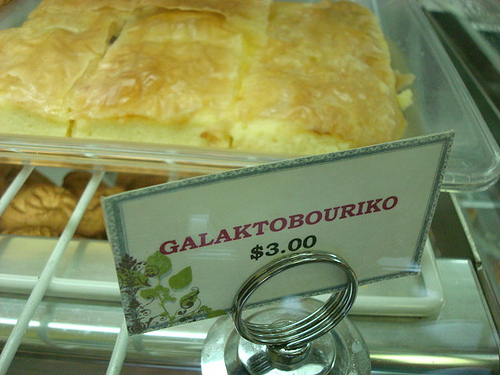 My appetite for Greek pastries was largely formed during my college years, when my BFF, James Papadopoulos, introduced me to the bakeries of Astoria, Queens, where there were cookies that shared his last name and so many other delicious treats to be discovered. 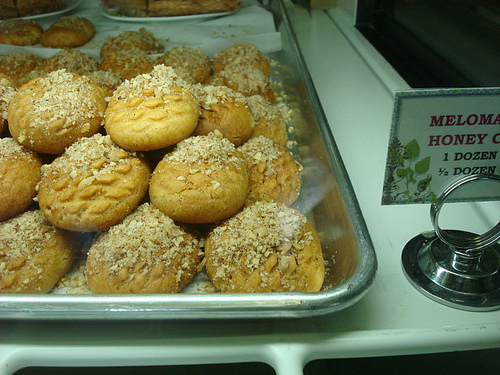 So naturally, when I came across Omonaia Bakery in Denver, CO, I had to at least walk in and check out the wares. What might you expect, walking into this place? For one thing, owners or family (maybe both?) sitting at a table drinking coffee and talking animatedly. 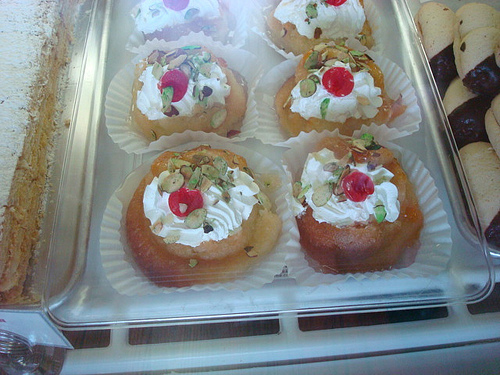 For some reason, this always seems to be happening at old-school bakeries, no matter what the ethnicity of the owners. 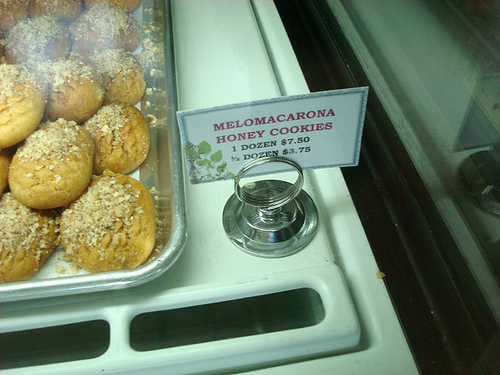 I went for the honey cookies, and let me tell you, these were tasty little morsels. I actually gnawed on mine as a sort of belated-breakfast-not-quite-lunchtime treat, and it was lightly sweet, scented with honey, lightly but not distractingly crumbly, and perfect to tide me over til feeding time. A very sweet spot to visit--if you find yourself in Denver, hit them up (they're not far away from Lovely Confections, either!). Omonoia, 2813 E Colfax, Denver, CO. On Facebook here.